ESET today announced it will be demonstrating new security solutions for the enterprise sector, presenting on the main conference program and showcasing newly commissioned research at RSA 2018 in San Francisco, California. First, ESET’s top engineers will be on hand to demo the latest portfolio of security solutions for the enterprise market with RSA attendees. 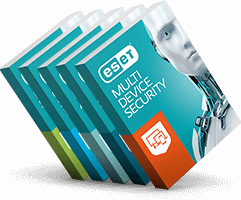 The suite of services and solutions include an all-new ESET Security Management Center providing enterprises with complete management and visibility of threats on all endpoints via a single pane of glass. In addition to the new management center, ESET will be rolling out a trio of never-before-seen advanced enterprise security solutions at RSA. Second, Tony Anscombe, ESET’s global security evangelist, will be presenting on the main stage at RSA in his talk ‘Malware as the New Weapon of Mass Destruction’. He will be covering wide-ranging issues: U.S. elections, industrial control systems’ power outages and destructive ransomware, to name just a few. Mark your calendar for this main conference talk on Friday, April 20th, at 11:30 a.m. Tony will also be presenting live on RSA TV, discussing vulnerabilities found in an experimental ‘smart home’ that he and ESET researchers built and tested. His full presentation can be viewed in person or on air here. Third, cybersecurity industry veteran Stephen Cobb will present insights from ESET’s global research and development teams, examining how ESET’s technology and telemetry allows them to track some of the most dangerous and destructive cybercriminals and cyber-espionage groups — and how any IT department globally can now both utilize and benefit from the very same intel. Presentations will be held at the ESET booth, South expo, booth #1401, at set times throughout the day. To find out more, please visit https://www.eset.com/us/rsa/.